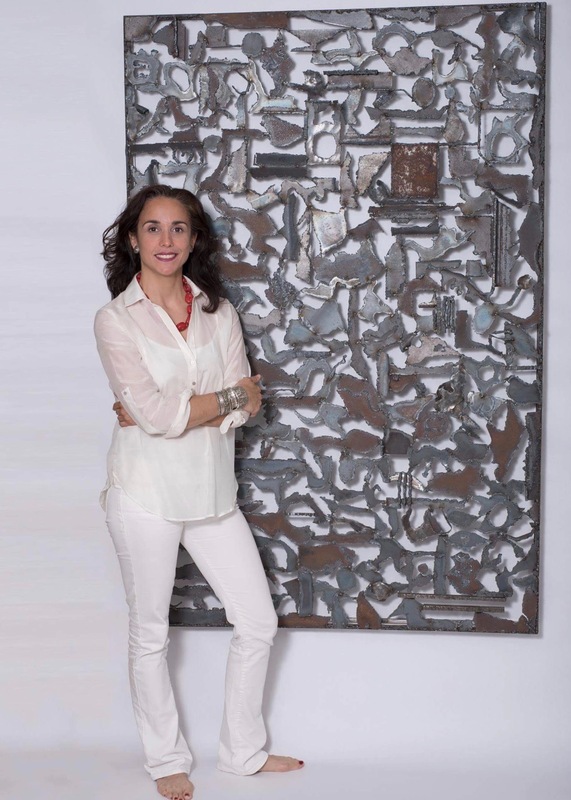 Artists & Makers Studios 2 in Rockville, Maryland, presents AnaMarie Paredes' "Folds" series, an exhibit that reveals the little-recognized soft and sinuous beauty of steel. 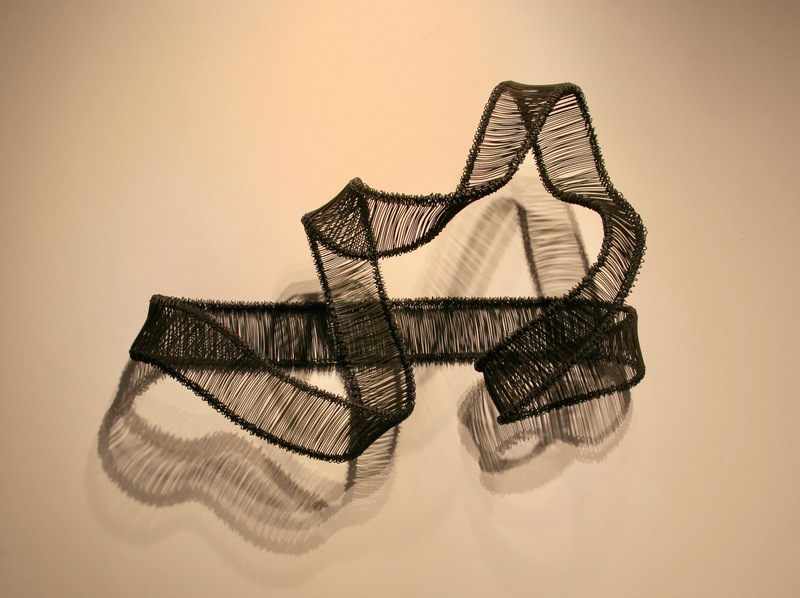 Whether it's the playful and delicate lines of the pieces themselves, or the way they're kind of moody depending on the direction that the light hits them, Northern Virginia native AnaMarie Paredes says she loves her "Folds" fine art sculpture series for the way it captures a sense of soft femininity. "I'm still working with a medium that I love, but the way I manipulate the steel is very different from other types of steelwork," Paredes says. "I get a lot of freedom from it." From the perspective of a photograph, one could hardly believe that what looks to be a curling, rippling strand of ribbon is actually hard metal -- steel wires looped together in a way that ends up making the final piece look natural and effortless. "The Folds Series are made of small strips of steel wire, known as bar ties, that are curled at the ends and then looped through," Paredes' website explains. "The double helix effect creates sinuous lines that twist, turn and protrude, giving the series a strong sense of movement and tension. The series' depth and height creates striking shadows that play off the simple yet strong lines and lend the series a modern and ethereal feel." Raised in Northern Virginia, Paredes was a biology major on the verge of graduating from college when she decided to take some fun art classes during the last semester of her senior year. 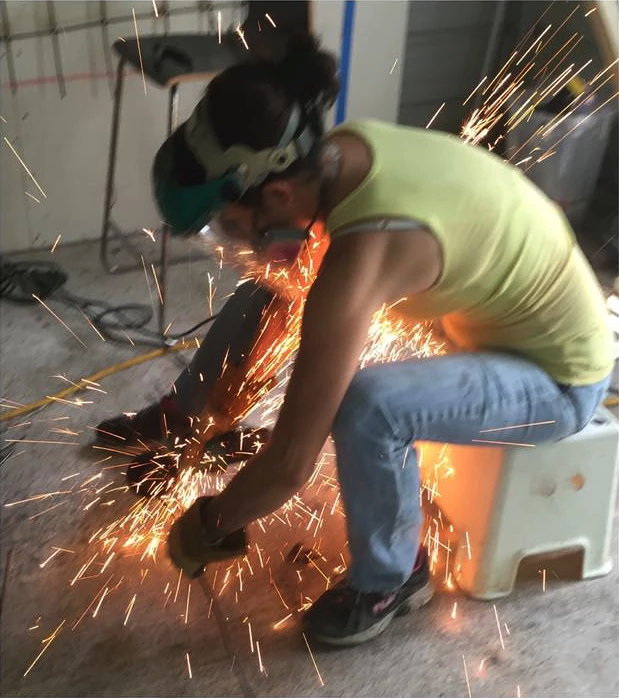 Though she felt out of her element at first, the professor's promise to teach her to weld (something she'd always been curious about) kept her hooked, and before she knew it, she had a new hobby -- and eventually a career. "I really feel like my love of the sciences has made me a better artist," she says. "I focus a lot on the granularity. In my other series, I focus on the chemical reactions of the steel. You have to really read the metal to see when it's ready for the next piece." On Friday, July 6, Artists & Makers Studios 2 will open an exhibit showcasing 12 of Paredes' Folds series sculptures. Three or four will be older pieces, while the remainder will be all-new creations. The event will take place from 6 to 9 p.m., at 12276/12280 Wilkins Avenue, in Rockville, Maryland. The exhibit will remain on display through Wednesday, July 25, during the studio's normal business hours (Tuesday–Saturday, 10 a.m.–4 p.m.). "I'm humbled this path has unfolded for me, and I'm grateful my clients connect with my work and believe in me," Paredes says. Learn more about Paredes' art on her website or Facebook page. Featured image is "Turn Over" (mild steel, 27" x 33" x 13").